The new treaty upholds Cyprus’ position as one the preferred routes for investments and other transactions in and out of Ukraine. 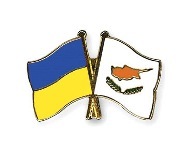 The agreement was signed in the Republic’s capital, Nicosia, during an official visit by the President of Ukraine, Viktor Yanukovych to Cyprus in the first official visit of a Ukrainian president to the island. A number of bilateral documents were also signed, in such areas as maritime merchant shipping, air transport, agriculture, investment cooperation, inter-university cooperation, physical education and entrepreneurship. The new DTT shall not come into force until the 1st January following the year of its ratification by both countries. Assuming it is ratified within 2013, the new DTT shall be in effect as from 1 January 2014. The new DTT is based largely on the OECD Model Tax Convention.